How many times in your life do you get the opportunity to create a wishlist for your home, knowing that many of those wishes will be fulfilled by your friends and family? 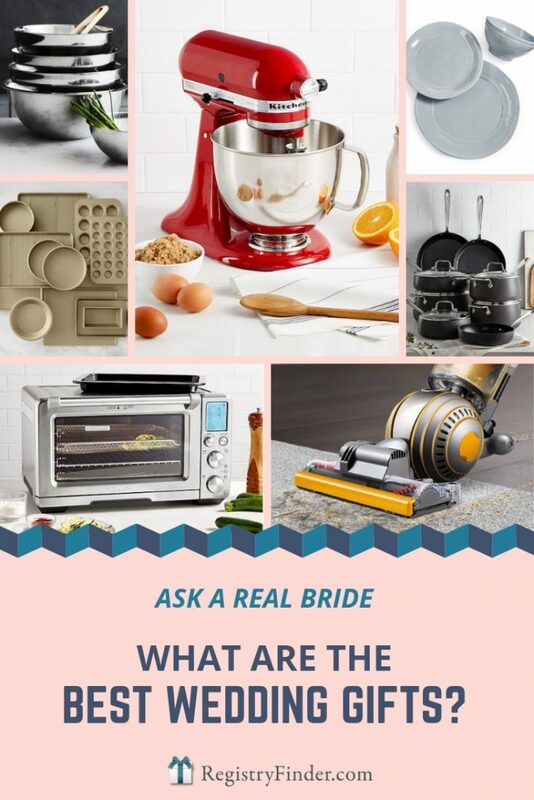 The answer is once: when you create your wedding registry! 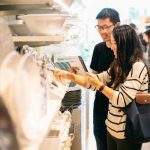 Since it’s a once-in-a-lifetime opportunity, every couple wants to create a registry filled with items they’ll enjoy for years to come. While online checklists and in-store consultants are always helpful, I think the greatest resource when it comes to registry tips are newlyweds: they’ve recently been through the process, and can speak from experience when it comes to which wedding gifts you’ll actually use and love! 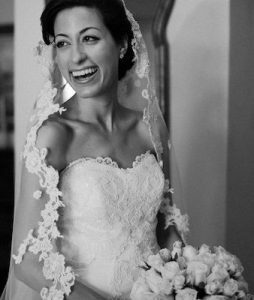 In today’s edition of “Ask a Real Bride,” we’re crowdsourcing to find the best wedding gifts. 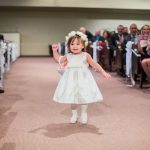 Whether you’re creating a wedding registry or wanting to give the perfect gift, here are our brides’ opinions of what gifts are sure to delight beyond the big day! “My vote for “best gift” is high quality pots and pans. 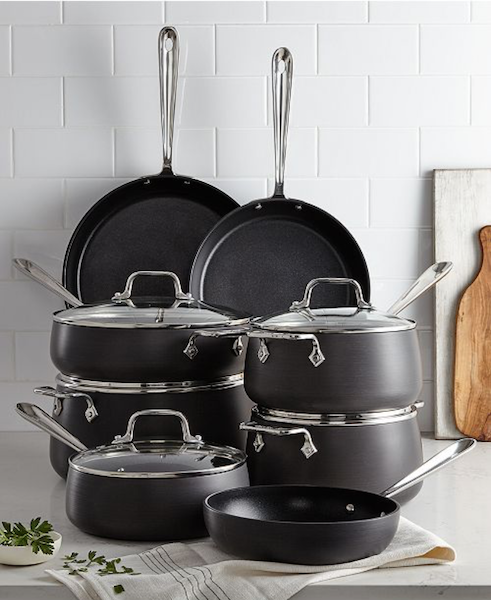 We registered for All-Clad!” -Kimberly M.
This 13-piece set is hard-anodized for performance and durability, with nonstick surfaces for easy cleanup. My personal favorite wedding gift is this Breville Smart Oven-we got ours almost 7 years ago and I use it every single day! 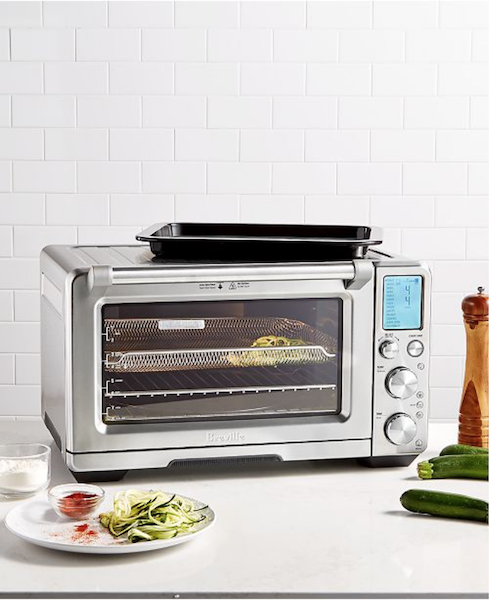 This countertop convection let you bake, broil, toast, roast, dehydrate and more. It’s roomy enough for a full-size baking pan or even a turkey! 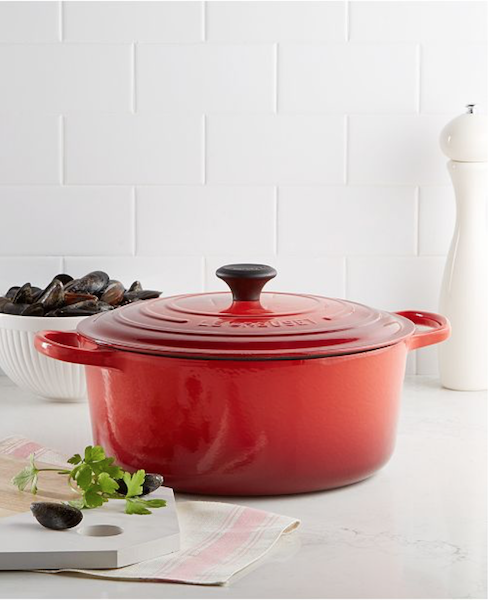 “Le Creuset Dutch oven! We use it several times a week. 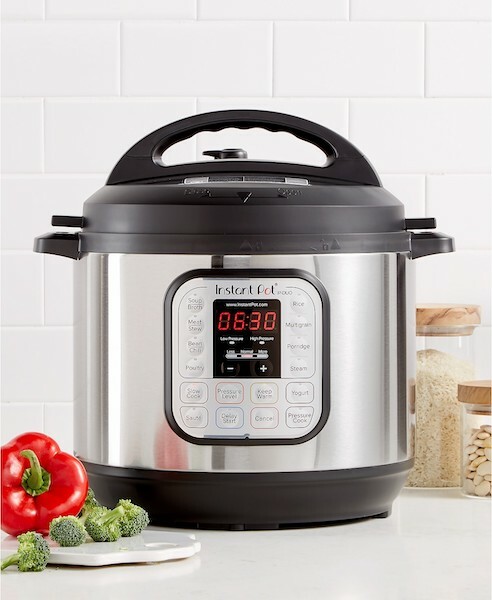 Great for baking a loaf of no-knead bread, making soup or chili, cooking a whole chicken, slow cooking tomato sauce or broth… I have yet to find a recipe where it hasn’t come in handy!” -Victoria B. Cleaning might never be “fun,” but the right tools can at least make it quick! “My favorite gift? 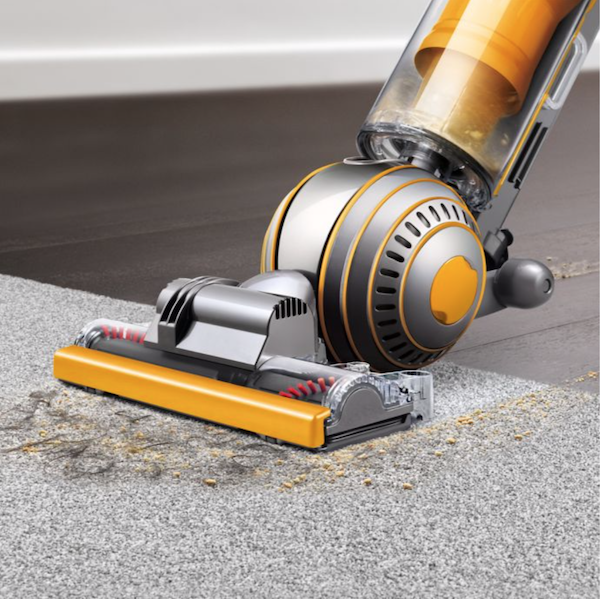 The Dyson Ball Multifloor upright vacuum.” -Jeannette T.
“We went with Vietri stoneware that is versatile and dishwasher safe.” – Lindsey H.
Many of the brides I surveyed said they were glad they registered for everyday dishes instead of formal china. 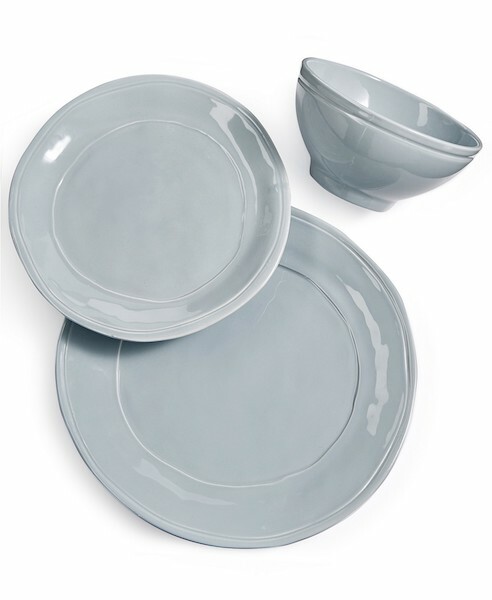 The Vietri set pictured above comes in 8 colors, so you’re sure to find one you’ll love! 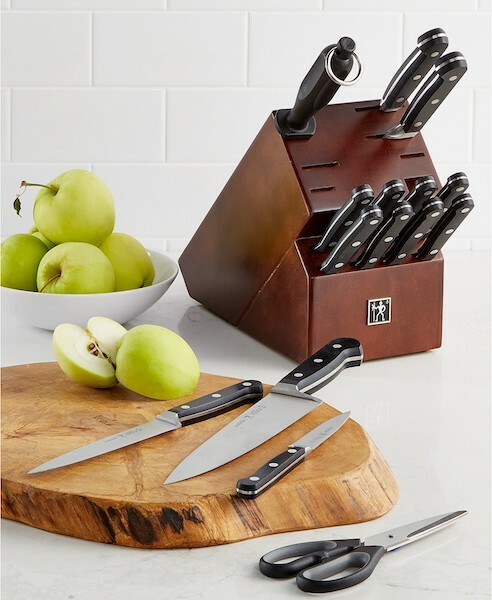 Many brides shared that knives were a favorite wedding gift. “For the money, I think J.A. Henckels makes a nice wedding gift (I’m still using the one we got over 30 years ago). 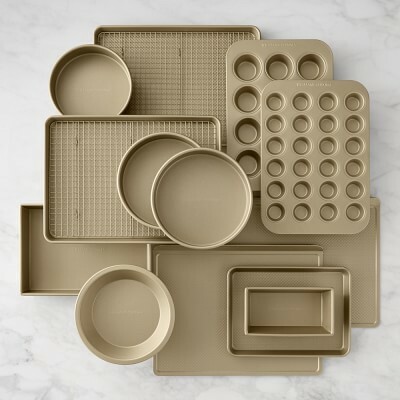 If you can spend more, Wusthof gets my vote!” – Shannon H.
Another crowd-favorite: baking essentials! 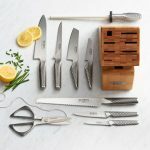 This category is filled with a few bigger-ticket items that are perfect for the gift-giver who wants to give a memorable present. 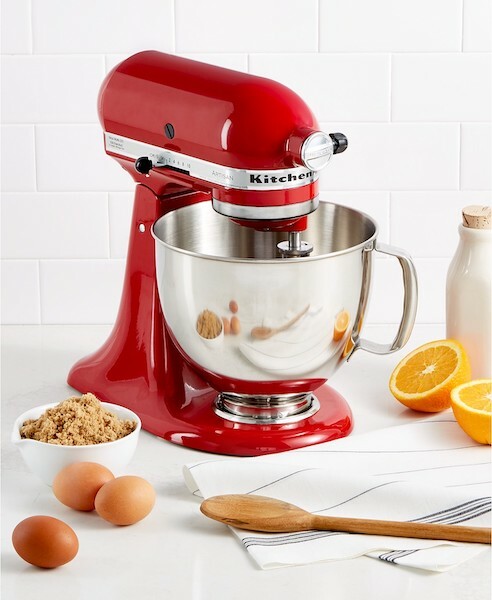 The most popular answer to “What’s the best wedding gift?” was far and away the KitchenAid stand mixer! This classic stand mixer is the perfect kitchen companion, with plenty of attachments available to make pasta, sausage, and even ice cream! Whether you love to bake or cook, high-quality mixing bowls are another must-have. 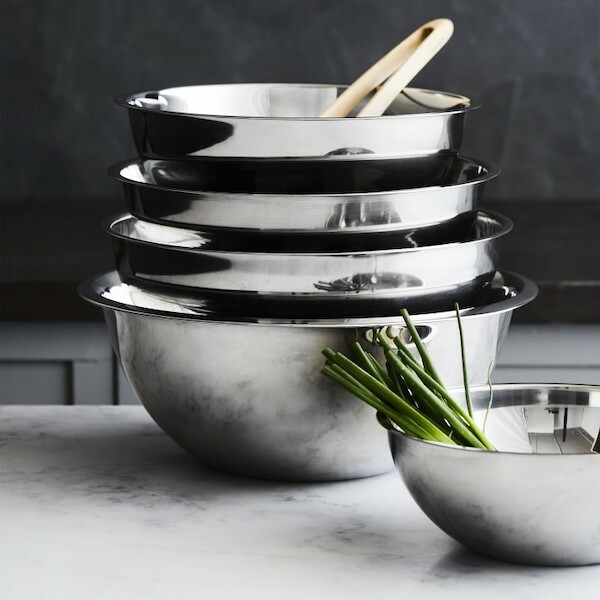 “I still have my very nice mixing bowls and use them weekly!” -Jessica H.
Two brides, I talked to emphatically recommend this Williams Sonoma Gold Touch baking set. “They’re nonstick but they’re not dark, so they don’t affect baking time or anything. I swear by them and won’t use anything else. -Sami M.
If you’re more an adventurer outside the kitchen, add items to your registry that fit your active lifestyle! 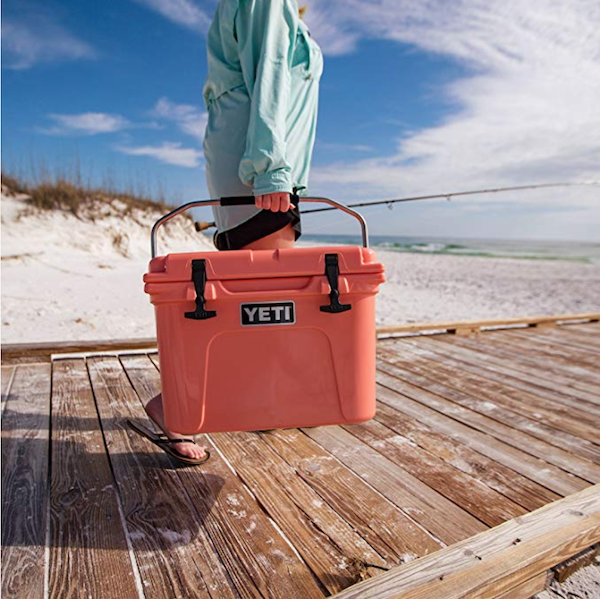 “Register for a good cooler, like a Yeti. 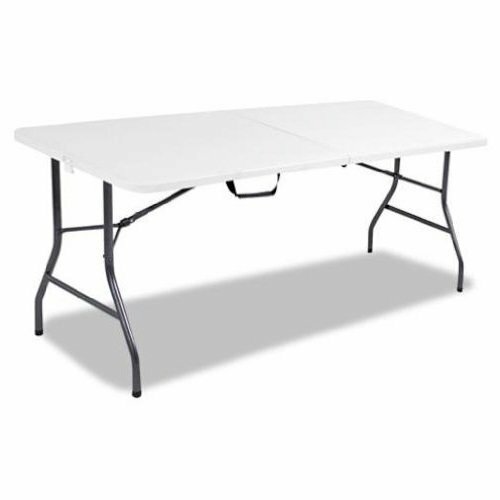 Forget the KitchenAid that gets used twice a year.” -Cristina C.
“It sounds really crazy, but we entertain A LOT so we registered for some folding tables. We use them at least once a month! My brother made fun of me, but after visiting a few times he got one too. -Beth P.
Lots of couples report they’re thrilled with the latest in high-tech cooking! “My air fryer and Instant Pot! I use them both multiple times a week.” -Kelly M.
While couples are always grateful for items for the home, sometimes the most meaningful gifts are ones that can’t be purchased in a store. “Mine was the lyrics to our wedding song typed up in a pretty font and put in a frame. In the middle there was room for a pic of our 1st dance. Just thought that was such a special and unique gift.” -Aubrey L.
While I appreciated the many generous wedding gifts we received for our wedding (see my recommendation of the Smart Oven earlier in this post), I have to say that the most meaningful gift we received was a set of crystal stemware that belonged to one of my parents’ elderly neighbors. Ray lived nextdoor to my parents for about ten years, and in that time, my family sort of “adopted” him: Ray joined us for many dinners, holidays, and other celebrations. He and his wife, who passed away before he moved to the neighborhood, did not have children, and I think Ray would say he “adopted” us kids too. A few weeks before our wedding, Ray brought over a large cardboard box, filled with the crystal goblets and glasses he and his wife had received on their wedding day nearly 40 years earlier. Ray even typed up a list of his marriage advice, including an encouragement to use and enjoy the crystal, and not let it sit on a shelf. “Your guests deserve your best,” Ray wrote. Ray passed away about a year ago, but that crystal, which we do use often, will always serve as a reminder of his kind and generous spirit! No matter what gift you choose to give, make it “the best” by including a meaningful note filled with your expressions of love and support for the newlyweds. And brides and grooms, be sure to write thank-you notes that convey your appreciation for not just the gift, but more importantly, the giver! 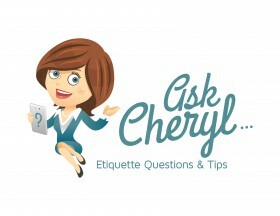 Looking for more registry tips and gift-giving etiquette? 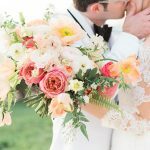 Be sure to subscribe to the GiveIt blog for weekly posts filled with gift ideas, party planning trends, and wedding-related advice! And as always, you can find all of your friends’ registries by visiting RegistryFinder.com. -Written by Christina Peterson, who believes that while it may be better to give than to receive, getting to do both is the best!